TCF-S driver is included with libindi >= 0.9. 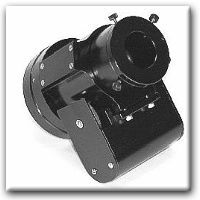 The TCF-S Temperature Compensating Focuser is a most useful tool for any telescope owner, as focus is the single most important element to having a high-quality view of any astronomical object. In addition to having high resolution and low backlash from a purely mechanical standpoint, the TCF improves its focusing power with the addition of a temperature probe. This probe can monitor the temperature of the telescope tube and adjust focus to eliminate thermal focal shifts down to a resolution of 0.1° Celsius. Note: there is a 2" and 3" version. Once connected, you can move the focuser in relative and absolute positions.